Recently I wanted to add a newline character to a text box when the user pressed Shift+Enter. The TextBox control in WPF already has a built in AppendText method, however it doesn’t have a built in InsertText method. So I decided to create an extension to add this functionality. In order to insert text into the text box, I called the Insert method on the text box’s Text property. The text was inserted, but the side affect was that the caret position was moved to the beginning of the text box. So I just moved it back. This is a pretty simple piece of code, so I don’t know why it isn’t included. Here’s the code. It took me a little while to find this answer, so I thought I’d post it just in case anybody else needed it. 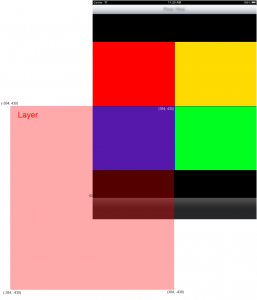 The other day I wanted to embed a UITableViewController into a UIViewController. 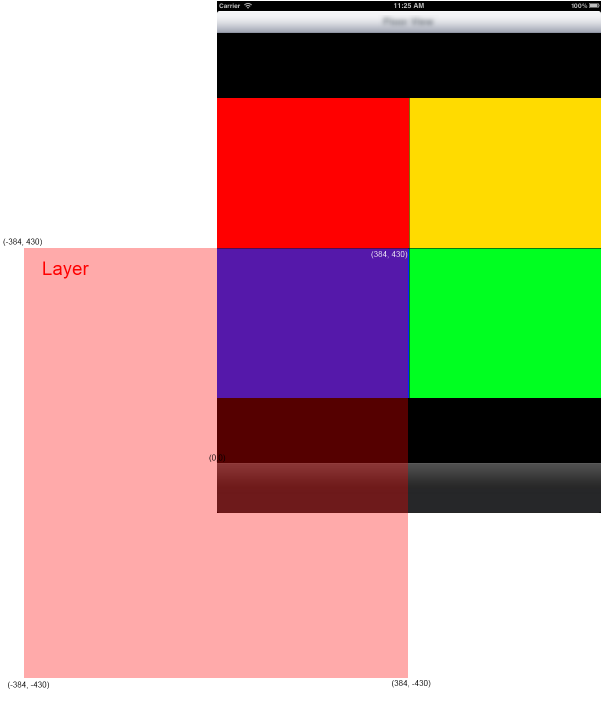 The UIViewController had a background image on it, and I wanted the UITableViewController’s view to have a clear background. I tried setting the background color to [UIColor clearColor] and it worked in the storyboard, but at runtime, the background went to it’s default color. 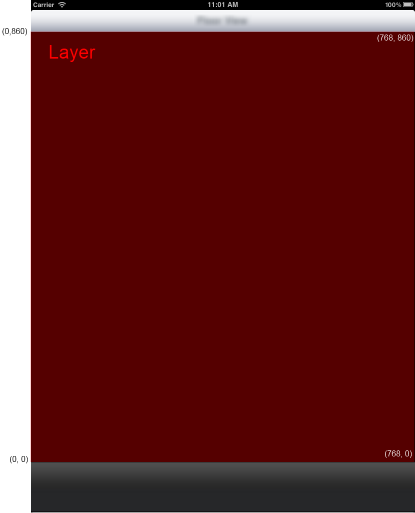 I then changed the background color to [UIColor redColor] just to see if it had something to do with clearColor. I ran that and it had the same effect. 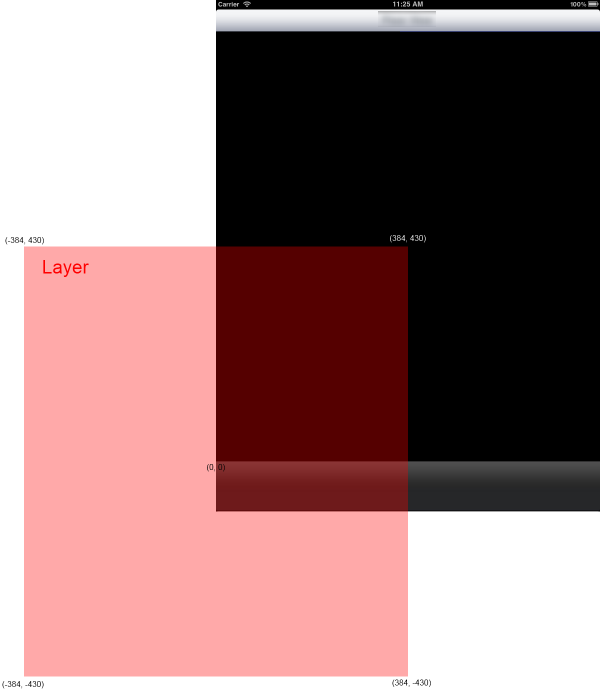 Turns out that if you want to set the background color of a UITableView, you must remove the background view in order to see the background color that was set in Interface Builder. Here’s how I did it. I was about to write a post about the evil spinning rainbow cursor that I’ve come to know and hate over the past few months, when I stumbled upon a post referencing this site:The Marble of Doom Apparently I’m not alone in my hate of this guy. I use Xcode 4.6 on a daily basis and see this time waster at least once per day. Why does it take so long to destroy your app and let you know? Does the camera activate so the Apple guys can watch you cringe? I wish there was a website out there that would show that footage. Anyhow, I’ll be sure to add my time there from now on. Just like the national debt, it just keeps going up. However, there isn’t a ceiling on this value. Add your time when you get some time. It was still a little dated, almost 6 months since the last edit, but not nearly as bad as the other project. Apparently this project and the other are related since the same installation and usage instructions found on metasyntactic seem to apply to the Booyah Inc. project. It took me awhile to get the compiler up and running, so I thought I’d share the steps I took. Here are the installation instructions that I had to follow to get it working on a MacBook Pro. When I started the process I already had installed Xcode, so the steps begin from there. Type brew doctor into the terminal to be sure that HomeBrew will operate correctly. This should be done before installing anything through Homebrew. NOTE: The current version of protobuf-objc isn’t compatible with Google Protocol Buffers 2.5.0, so you must install 2.4.1. Again, these are just the steps that I took. If you already have the files/programs that I installed using HomeBrew, then you can obviously skip those steps. I only had to use Homebrew for a few installs, but from that experience I can tell you that it really saved me a lot of time and effort in getting that stuff installed otherwise. I’m coming from a newer Mac user stance on that. Let me know if I left anything out or if the steps don’t work for you. Upgrades should be a time to rejoice. A time to celebrate new features like gifts at Christmas. However, the WordPress upgrades are never that smooth. Now I’m not bashing WordPress software. Once it is upgraded, it is wonderful, but the feelings leading up to an upgrade can be described as nausea, fear, anger and sadness. These feelings were again justified when I upgraded (or attempted) to 3.4. I’m still in the process right now and I’m betting this post won’t survive the rest of the upgrade. If I ever figure this out, I’ll make a ton on Freelancer.com and then post the solution here after I’m a millionaire. Alright, alright so I was wrong. The post made it and the fix ended up being simpler than I thought it would be. I posted a question on the WordPress support forum here and the moderator’s fix worked. I had to copy the wp-settings.php file over, which wasn’t part of the upgrade process listed here. The site is back up and we’re back in business. I’ve been tasked with creating a new program to go onto the Apple Store. I’ve never been a Mac user and probably never will be, but since I have to use it for now, it’s really helpful to know how to get around on one. In order to do things faster, I try to keep from going back and forth between the keyboard and the mouse. However if I want to do that, I need to know all the keyboard commands that I normally use on a Microsoft Windows computer. The first confusing thing that I ran into was the funny symbols the Mac OS uses to define special keys. The most notable ones are the control, option and command symbols. Now on the MacBook Pro that I’m currently using, the command symbol is on the command key, so it’s easy to see that the symbol goes with that key. However, the option symbol and the control symbol are not on their respective keys so I had to ask Google about them. A quick search led me to Ted Wise’s page: http://tedwise.com/2009/04/28/what-do-those-weird-mac-symbols-mean/, which was very helpful. When I found out what the symbols meant, I was able to come up with the following table of the shortcut keys that help me navigate and use Xcode 4 quickly. I know there are a lot of pages out there that list shortcut keys, but they seem to be huge and also list a ton that I’ll never use. This list is meant to be a sub-set of those that I use on a daily basis. The list might be small for now, but I’ll be sure to add other helpful ones in the future.